One of the unexpected joys of motherhood is becoming a professional obsessive/compulsive pack mule. While admittedly good training for weightlifting, marathon running, and getting in a lot of good cursing practice, this is very much an optional experience. The fact is that the little bundle of joy doesn’t have to be a little bundle of NASA-like logistics as well. Help is at hand. The humble green shopping bags have thousands of uses. The first thing anyone noticed when the green bags came on the market was that they tended to accumulate around the home. Whole rooms could disappear. It was then noticed that they’re actually even more useful for organizing than they are for shopping. Everything, eventually, winds up in a little green bag. People may eventually decide to reduce risk in the property market and live in them, but until that happens, they’re the best thing to happen to storage and managing moves since carry handles. The bags provide good insulation, they’re light, and they’re good shock absorbers in cars. A subspecies of the green bags are the new types of promotional bags, similar in construction to the little green bags, but often bigger. These bags are able to carry those interestingly bulky and entirely uncontrollable monstrosities that babies seem to acquire. 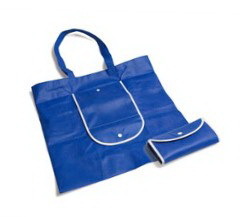 They can work as blanket bags, spares bags, and carry some of Mum’s stuff as well. If you’re at the toddler stage, the extra clothes, shoes, mobile laundry and excavation stuff can also be accommodated in bags. This is a godsend, removing the “unpack everything every time something happens” effect and even allowing space in back seats and car boots. It also counteracts both the need and the desire to clean the entire surrounding area when you unload the car. Toys can also be stored efficiently, and your own treasure hunts can be cut down by several hours a day. Teddy, the plastic duck and that strange creature which is now the favorite playmate don’t go missing in action, and the related noise levels drop by several hundred decibels. Green bags: Anything dry, keeps everything separate and you just tie the handles. Freezer bags: Great for wet things, and good for quarantining those various events after you’ve cleaned up. Promotional bags: Very good for bulky things, and good as toy bags, because they look nice and baby doesn’t lose sight of where Teddy went. Wine bags: These very useful bags are relatives of have little pockets and sleeves, and if you’re good with a needle, you can create a good place to carry smaller items, and keep all those little extras organized. Another good idea- If your partner starts calling you a “bag lady”, they can be thrown accurately.